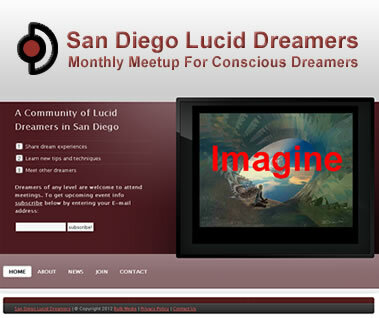 The San Diego Lucid Dreamers meet every 3rd Sunday in Central San Diego or La Jolla. Each meeting is a round table for sharing dream experiences and learning from each other. There will always be a theme or topic for each night to focus on. Everyone in the group gets a chance to share a vivid or lucid dreams they had in the past month.